In the parlance of analysts with the U.S. Bureau of Labor Statistics, a location quotient is measure of an occupation's prevalence in a census area in relation to that occupation's prevalence throughout the nation as a whole. A location quotient above 1.0 indicates that an occupation has a bigger share of employment in a given census area than it does on a national basis. On the other hand, a location quotient below 1.0 indicates that an occupation has a smaller share of employment in a particular area than it does nationally. 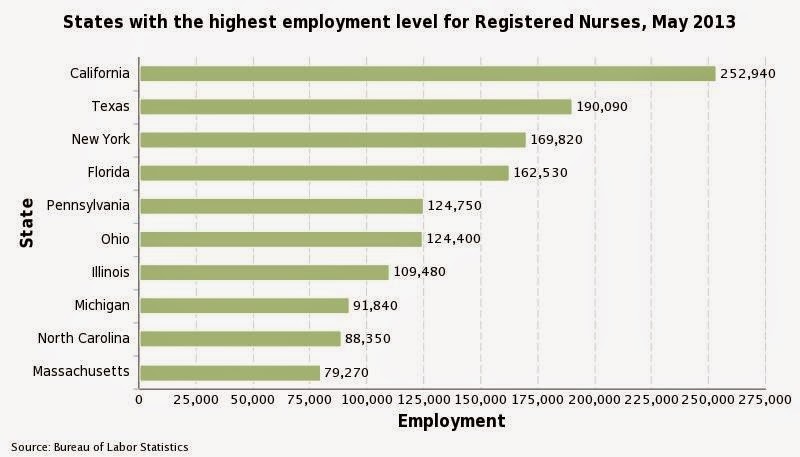 Looking at just the raw numbers, it is almost always the biggest population States that have the largest employment bases when examining healthcare occupations. However, a different picture emerges when one looks at a relative measure like the location quotient. It is smaller States that dominate the list of Ten States with the Most Registered Nurses on a relative basis. 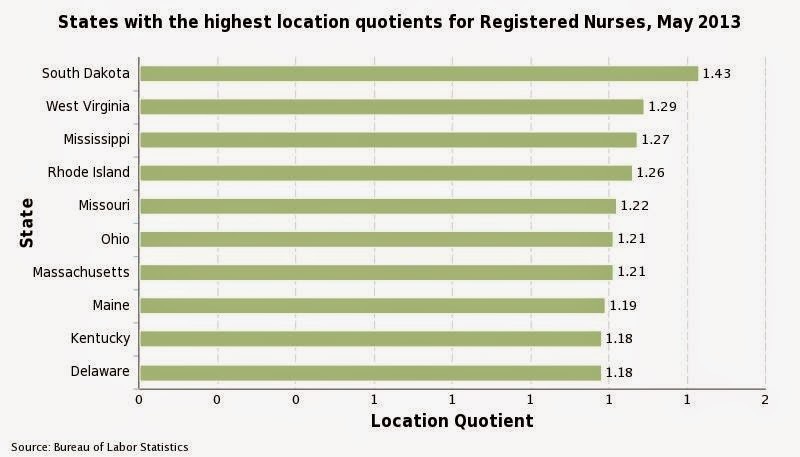 The Ten States with the Most Registered Nurses on an absolute basis is dominated by the large population States, with only Ohio and Massachusetts making the top 10 on both lists.